The Jade – Sun 24 Feb. Talented, versatile and indefatigable, pianist Tim Barton returns to the Adelaide Fringe with his show Rhapsody in Chicago Blues. He treated the appreciative crowd at The Jade this afternoon with a diverse medley of music. Alternating between an upright piano and an electronic keyboard, Tim’s selection of music included choice pieces from Bach, Mozart, Schumann, Joplin, ‘Fats’ Waller, and Gershwin, as well as three of his own delightful compositions. The Jade was a lovely, stylish venue for this performance, although the seating did leave one a little numb after 90 minutes. There was no doubt that Tim’s favourite composer is George Gershwin and his signature piece Rhapsody In Blue remains his favourite from the set list. Tim played several more well-known Gershwin classics including Let’s Call The Whole Thing Off and Nice Work If You Can Get It evoking memories of Hollywood’s Golden Age of musicals. Impressive was the absence of any sheet music, with Tim playing the entire 90 minute set from memory. Considering the complexity of many of the pieces, especially Bach’s Toccata #6 in E minor this was an impressive feat. Overall it was an extremely pleasant, nostalgic and relaxing Sunday afternoon experience recommended to music lovers. Notably Tim will also be performing a new fringe show, Prelude, featuring the music of Chopin, and Debussy as well as his own jazz and blues compositions. 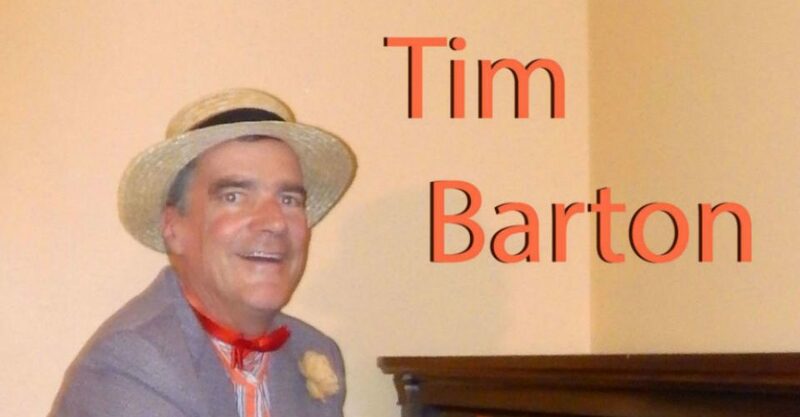 “Rhapsody In Chicago Blues” with Pianist Tim Barton continues at Flinders Baptist Church from 7.30pm until Sat 2 Mar. Classical favourites on a relaxing Sunday afternoon.